As the football fans are eagerly anticipating the final match between Croatia and France this coming Sunday, Chinese police in southern Guangdong province has busted an illegal crypto-gambling ring associated with FIFA World Cup holding over $1.5 billion in cryptocurrencies. Chinese police have taken custody of six prime suspects involved in live betting on an online gambling platform. The arrested group was staying in southern Guangdong province and has reportedly earned over RMB 10 billion ($1.5 billion) from live cryptocurrency bets. Their crypto wallets have been seized by police and their bank accounts have been frozen which contained almost half of that amount in Chinese currency yuan. This online gambling system is one of its kind as it presents a multi-tier pyramid-scheme that encourages primary staff to bring in more members to increase commission and membership fee gains. This eventually results in earning more cryptocurrency to reduce the platform’s lost risks by increasing coin prices and other crypto-financial features. The platform only accepts Bitcoin, Ethereum, and Litecoin for online betting. The police report states that the syndicate has utilized an ‘army’ of over 8,000 ‘agents’ to pull in 330,000 people globally. Thus they have been successful in making a sizable crypto-betting economy. Whereas, the report has also detailed about another online World Cup gaming ring busted by Chinese authorities recently. However, that group only made $48 million out of this online crypto-gambling. 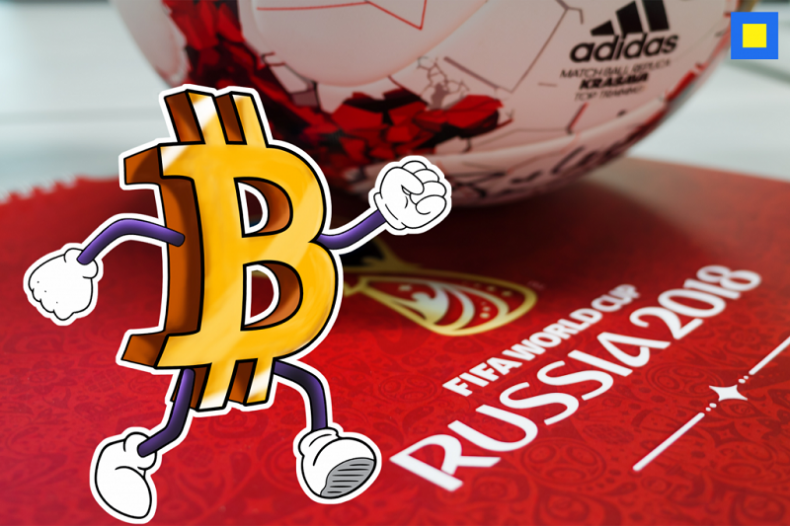 Meanwhile, there are certain other legitimate World Cup betting platforms such as CryptoCup. CryptoCup’s website is based on Ethereum‘s blockchain network, ERC-721 and the people who have chosen winners of various FIFA matches have won millions in the form of company’s tokens.